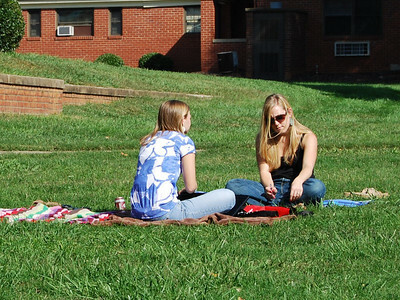 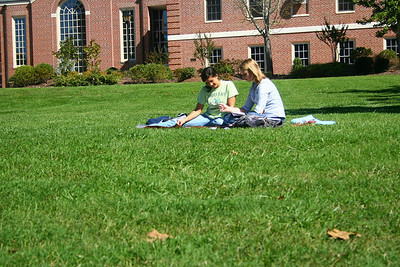 Students spend their afternoons studying on the quad. 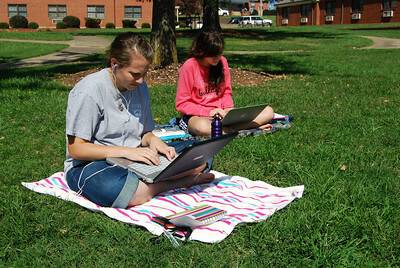 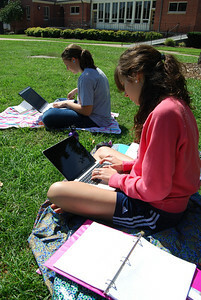 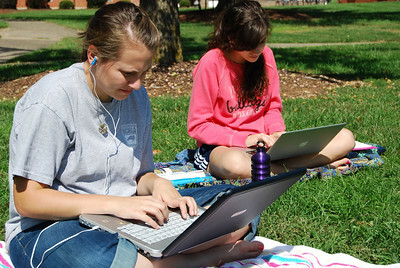 Elisa Beekman and Jessica Greer study on the quad. 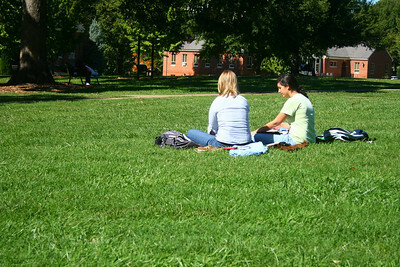 Jessica Greer spends many of her afternoons hanging out on the quad. 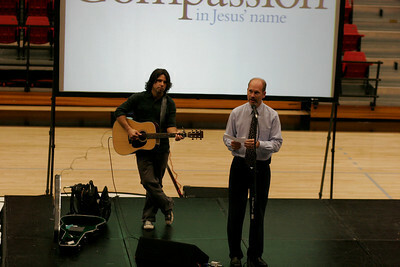 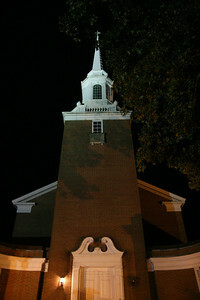 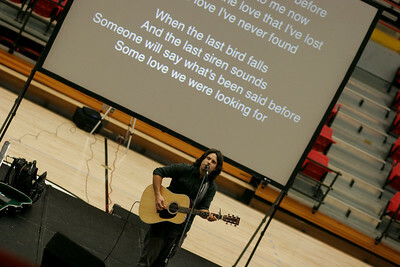 Dover Chapel late Monday night. 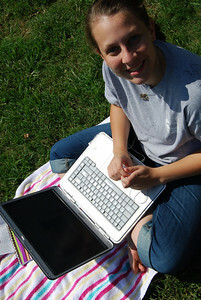 Melinda Condrey, a Plant Operations worker of Grover, NC, worked inside, cleaning after a wedding. 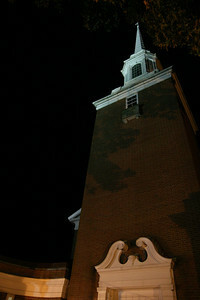 Plant Operations worker Melinda Condrey, of Grover, NC, vacuums in Dover Chapel late Monday night. 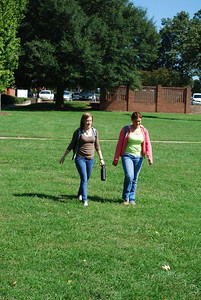 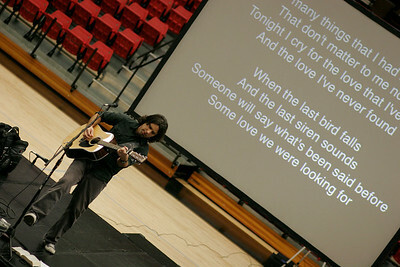 She cleans both the Chapel and Hamrick Hall each evening. 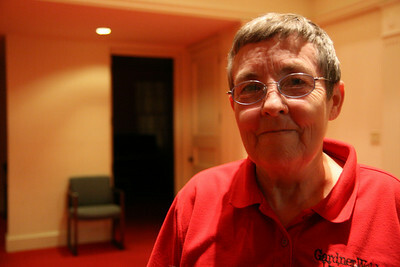 Plant Operations worker Melinda Condrey, of Grover, NC, smiles for the camera in Dover Chapel late Monday night. 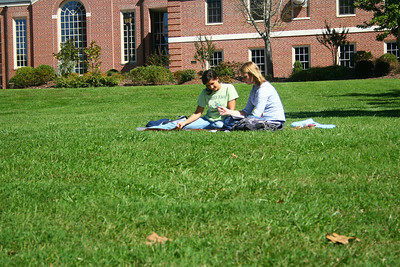 She cleans both the Chapel and Hamrick Hall each evening. 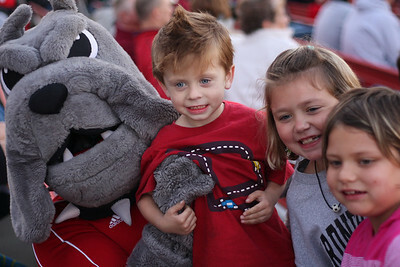 Bulldog fans enjoy some post football game tailgating. 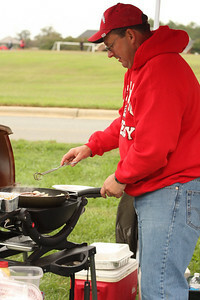 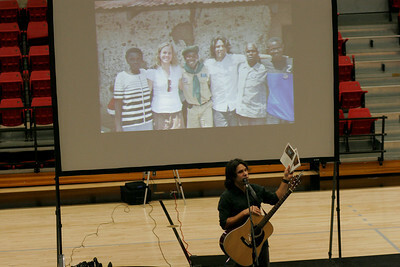 Lots of food and fun was enjoyed by all. 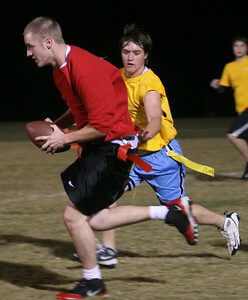 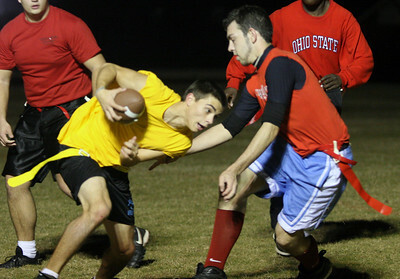 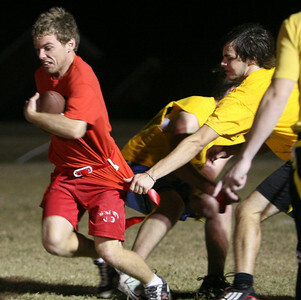 Bad Karma (yellow) took Old School (red) 28-6 in a game of intramural flag football Thursday night. 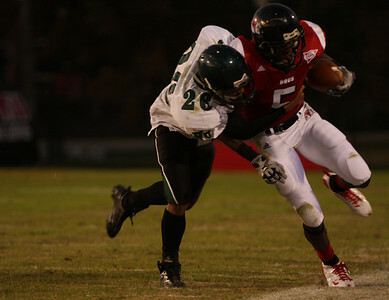 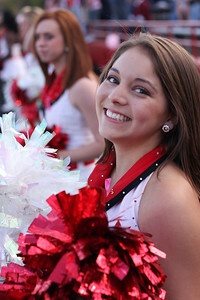 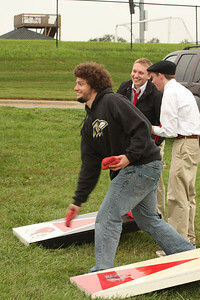 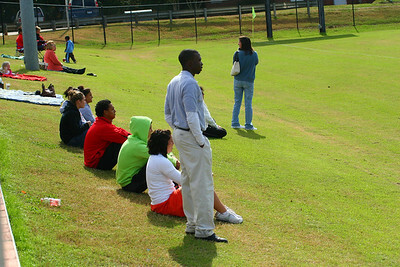 Mens football game vs Southern Virginia. 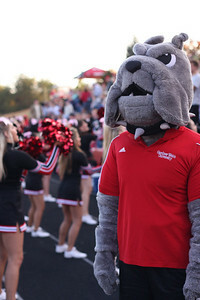 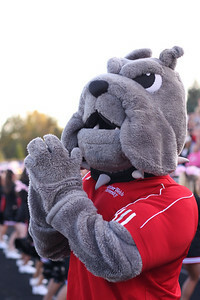 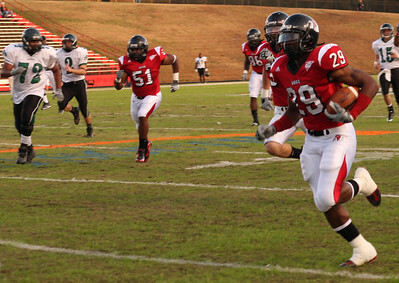 Gardner Webb steamrolled the opposing team 65 - 0. 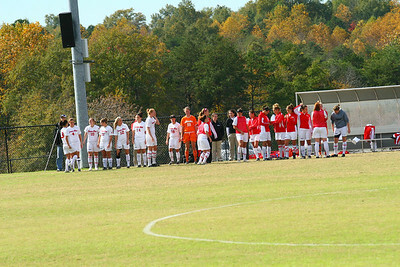 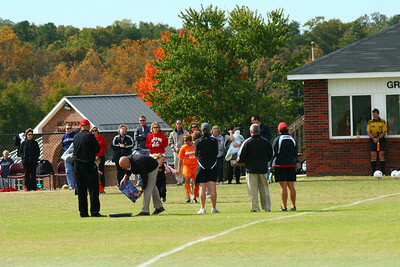 The Women's soccer team hosted The UNC-Asheville Bulldogs on Sunday, October 25th.